In a court brief, the BGA advocates for protecting, preserving key files. The BGA is calling for the preservation of police misconduct records and in a recent court filing stated it supports saving hundreds of thousands of such documents from being destroyed by law enforcement officials. In an amicus curiae, or "friend of the court", document, the BGA stated it was "the right of the public to access information about its government, and specifically, to know about and analyze allegations of misconduct made against police officers and how those allegations are handled by those in power." The filing is part of a lawsuit brought by the Fraternal Order of Police and groups representing police lieutenants, captains and sergeants, seeking the destruction of police misconduct records that are more than four years old. The FOP, which represents 12,000 police officers, contends their collective bargaining agreement and state statute create Illinois Freedom of Information Act (FOIA) exemptions for police misconduct records. However, an Illinois Appellate Court decided last year that these records, involving allegations, investigations, and adjudications of possible police misconduct, can’t be shielded from FOIA requests and must be available for public scrutiny. Following that ruling, the Chicago Tribune requested some of the records and the City of Chicago and Chicago Police Department agreed to provide them. In response, FOP filed its lawsuit. In this "friend of the court" document, the BGA calls for the preservation of key police misconduct records. The record requests are now on hold. More importantly, the fate of the records themselves is uncertain until the Appellate Court rules on the FOP challenge—or until their status is clarified in statute. Once records are destroyed, of course, they would be gone forever and what would be lost is incalculable, say reporters who investigate police issues. The BGA brief describes numerous harms that would be caused by the records’ destruction. For example, it would greatly hinder a person’s ability to look for and address patterns of misconduct that are revealed over time. Or to look for patterns that relate to police practices, deployment, supervision. A relative few officers are responsible for most cases of misconduct; with the destruction of the files, the ability to distinguish between an exemplary record and a questionable one is gone. Secrecy enables the small percentage of the force that have been repeatedly charged with misconduct to believe that they can engage in abusive practices with impunity. "Seventy-five percent of officers charged with the most abuse in the Chicago Police Department were never subjected to discipline... Allowing more transparency and greater public scrutiny into how the department handles investigations against officers charged with misconduct creates greater accountability and lifts the veil of secrecy that facilitates abuses." "Withholding information about police misconduct makes communities less safe by diminishing public trust in law enforcement, straining community-police relations, and making citizens less likely to cooperate with, provide information to, and come to the aid of the police" as noted by former Seattle Chief of Police Norman Stamper. There is a "well-documented and powerful public interest in discovering and addressing long-term patterns of police misconduct." BGA investigations of police misconduct, in partnership with the Center on Wrongful Convictions, have exposed the cost of misconduct to taxpayers, reaching hundreds of millions of dollars. Police misconduct is also identified as the leading factor in wrongful convictions, which BGA investigations have shown cost the wrongfully convicted hundreds of years behind bars for crimes they did not commit. The BGA filed the amicus brief jointly with two journalists, Jamie Kalven and John Conroy, both with long histories of exposing and reporting on police misconduct. Conroy is a former BGA investigator and co-author of the High Costs of Wrongful Conviction series. Jamie Kalven was plaintiff in Kalven v. City of Chicago, which established that police misconduct records are subject to public scrutiny under FOIA. "The public has a compelling interest in this information … regardless of how many years have passed." Judy Stevens, BGA Policy Coordinator, wrote this post. Contact her at jstevens@bettergov.org. She's on twitter @judystevensbga. 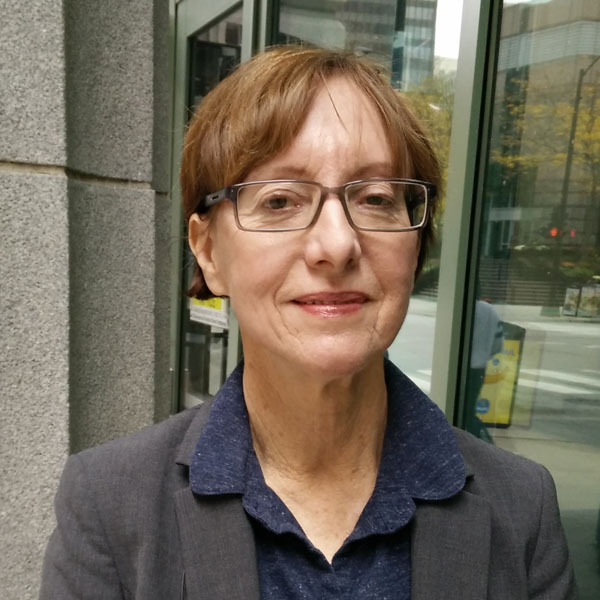 Policy Manager Judy Stevens returned to Chicago in 2014, coming back to BGA where she worked as an Investigator/researcher early in her career, to help lead the development of BGA's policy agenda, with responsibility for the coordination and implementation of that agenda. With Cook County Health Systems receiving over $100 million from county taxpayers, it makes sense that they should strive for as much transparency as possible.